Children have a natural desire to make sense of their world. A world that often feels out of control to them. 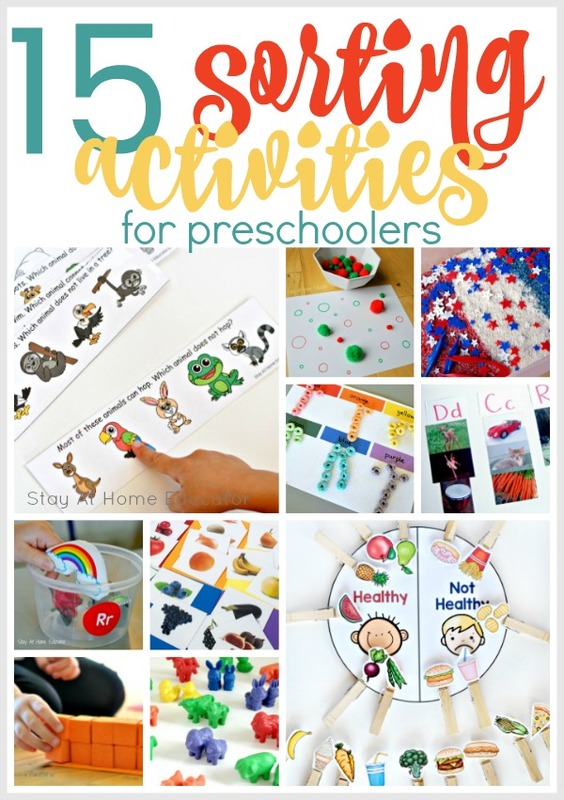 So, it makes perfect sense that preschoolers are naturally drawn to sorting activities. They make matches and categorize as a means to bring organization to what they know. Believe it or not, sorting skills start developing in infancy. A baby cries or laughs, which elicits a reaction from her parents, and she immediately starts learning which are the most effective in getting what she wants. She quickly learns how to organize those responses, and she begins to make sense of her world. Children continue sorting and classifying by organizing their understanding of language, people, and objects in their environment, such as when a baby cries mom comes running. This helps them construct an understanding of how the different parts of their environment relate to themselves and to each other. Simply put, they are identifying similarities and differences. It’s a process, too. And it’s this process that’s a child’s first step in the math activities of matching, sorting and classifying. Sorting is the ability to identify similarities and difference among a set of objects, and to group and name them accordingly. This kind of organization is prominent in an assortment of disciplines, including math, science, and music. Sorting is systematic. It’s ordering. It’s comparing and contrasting. Sorting is matching, and it’s also the very most basic form of algebra. Naturally, when children explore their environment they notice how things are alike, and how they are different. your preschooler will notice when you get new glasses, or that you used the small plates at dinner rather than the big plates. It’s also sorting when your toddler or preschooler lines up all her ponies in a straight, clean line. Children begin to sort their by characteristics that have meaning to them, usually starting with characteristics such as color, size, and shape, then eventually moving on to texture and sound. (Check out this STEM activity about sorting sound.) Children then begin matching objects that have the same characteristics. Most children being by matching concrete objects first, like blocks of the same color or buttons of the same shape, because developmentally it’s easier. Then they move to matching pictures or puzzle pieces. Then the skills gradually progress in difficulty. Once a child is matching more than two objects, they are sorting. Sorting involves separating objects into groups according to their similarities, which means they are also noticing differences. Children may have their own ideas of how objects are related. Not only is that okay, but it is also encouraged. Preschoolers benefit from their own sorting activities and defining the terms of their sorting. For example, when asked to sort attribute buttons into (undefined) groups, a preschooler might put stars and hearts together because they both have points. Or they might put circles, ovals, and hearts together because they all have “bendy parts”. As long as the preschooler can explain her choices, this is absolutely okay because there is some serious critical thinking going on there. Sorting activities are most beneficial when they relate to everyday life so kids can see math in their everyday world. Here are some easy sorting activities that you can help your toddler with in your home that require no prep at all! 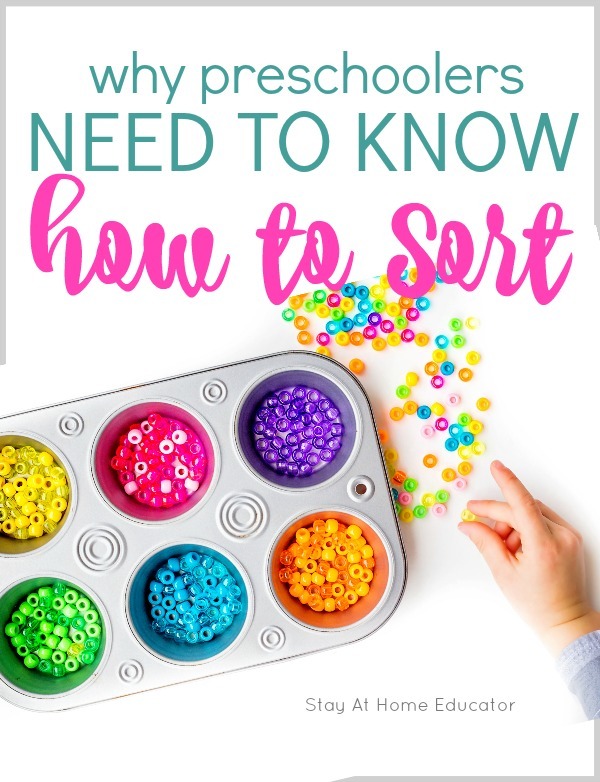 As children’s skills develop, so should the complexity of the sorting tasks. Be creative. Next time your child is helping you clean up toys, ask for all the toys with a specific attribute (such as color, or size), then objects of a certain kind, or with a specific function (such as toys that make noise, can be snuggled, stacked, or rolled). This also has the potential to be a great indirect vocabulary lesson, too! Children decide which characteristic to sort by. Children should physically sort the objects. (No worksheets here!). They will be able to describe their rationale for sorting. Describing their rationale encourages children to think about other characteristics to sort by. Soon your preschooler might be sorting their attribute buttons by placing hearts and triangles in the same groups because an upside-down heart looks a little like a triangle. 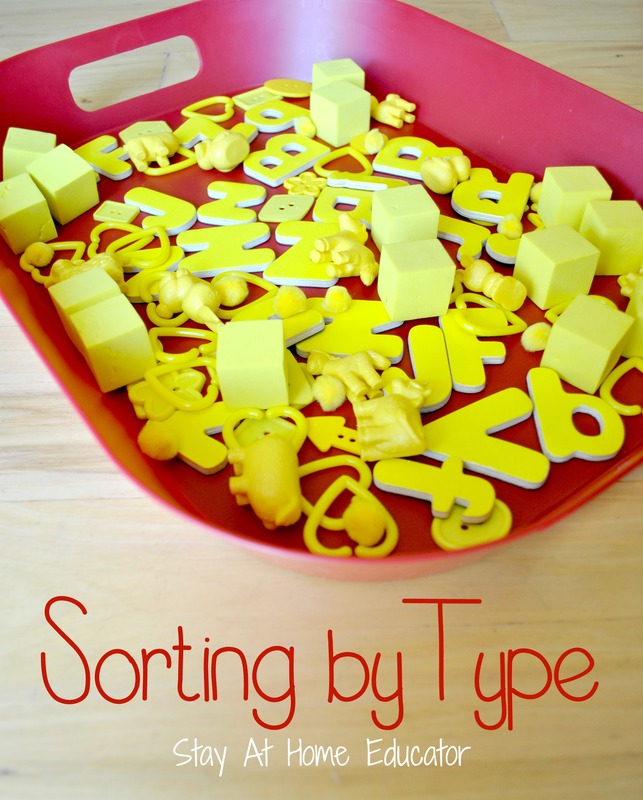 To get you started, here are 15 new and clever sorting activities for preschoolers.